For some, the recent holiday season invokes memories of food overflowing on dining room tables. But for many on college campuses across the country, an abundance of food is far from the reality. Several national media outlets – the Atlantic, the New York Times and Rolling Stone, among others – recently carried stories about hidden hunger and even homelessness on college campuses. A Washington Post article, titled “More college students battle hunger as education and living costs rise,” conveys the heart of the matter in the title alone and for readers here begs the question: How many NIU students go hungry? How often? Once a month? Every week? Every day? Getting a handle on campus hunger – a conversation gathering steam at a number of universities nationwide – is the central focus of NIU Research Rookie Jenée Carlson’s project. It bears repeating: “1,500 food insecure” represents the number of NIU students thought to be battling hunger. Right here. Right now. Compounding the problem, as noted in the Washington Post story, is that food insecurity is often shrouded in shame, and students are often reluctant to talk openly about it. To address this, Carlson launched NIU’s first ever food-needs survey. Her overriding goal is to learn the extent of hunger on NIU’s campus and to formulate meaningful solutions for students based on what she learns directly from them. Complete the anonymous survey on a tablet from 5:30 to 7:30 p.m. Thursday, March 3, or Thursday, April 7, at the Huskies Student Food Pantry in the Grace Place Campus Ministry building, located on the northwest corner of Normal Road and Lucinda Avenue. For this project, she works with a number of like-minded individuals, many of them well-versed in making an impact. 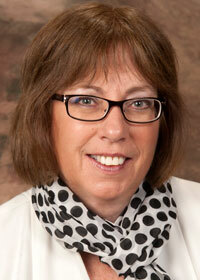 They range from a highly accomplished faculty mentor to experts seasoned in the battle against hunger. 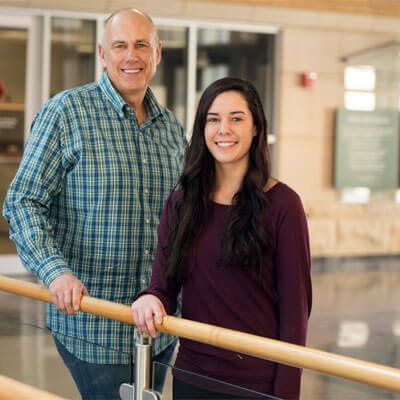 “After Jenée introduced herself to me to discuss research ideas, the first thing she said was: ‘I want the work to make a genuine impact,’ ” Dennis Barsema says. Barsema happens to be a strong advocate for making a difference, and Research Rookies provides a perfect venue to make meaningful things occur. NIU’s Research Rookies program links together undergraduate first-year, sophomore, and first-semester transfer students with faculty mentors in their major or area of interest to conduct a small-scale research project. Beyond serving as Carlson’s Research Rookie faculty mentor, Barsema’s long list of accomplishments also includes founding the social entrepreneurship program in NIU’s College of Business. The field of social entrepreneurship and its underpinnings of doing business differently have gained not only traction but momentum and not only in classrooms but within actual firms across the country in a variety of industries. Socially responsible organizations measure the impact of everything they do in three key areas known as the triple bottom line: People, Planet and Profit. Ultimately, then, as a Department of Management faculty member, Barsema focuses on redefining what it means for an enterprise to be successful. Beyond profits, success now must also include, and give prominence to, making a positive impact in people’s lives and in the life of the planet. “Jenée’s intention to make a difference is compelling,” Barsema adds, his smile nearly audible. Shortly after Carlson contacted Barsema out of the blue in the fall of 2015 (a first-semester freshman at the time), her path to creating an impact opened up even more. In fact, barely two weeks into her Research Rookie project, Carlson began working side by side with key members (including a CEO) of organizations at the forefront of fighting hunger. Carlson’s typical day includes meetings and phone updates with all four individuals, often at the same time. Together, they created a food-needs assessment questionnaire customized for NIU, the first of its kind for the university. 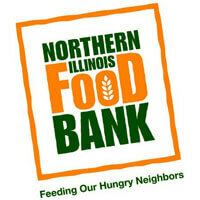 Typically food banks such as Northern Illinois Food Bank or Feeding America (the national organizing charity) develop and administer these surveys. And historically, these assessments tend to cover the county or city levels only. For Carlson’s campus hunger project, however, she and her collaborators crafted the survey specifically to address the college student population. In fact, theirs represents one of very few food-needs assessments in the country to target higher education students on a university campus. Feeding America, the nation’s largest domestic hunger-relief charity, organizes 200 food banks across the country – including the Northern Illinois Food Bank – into a powerful national network. Through this network, food banks then provide support and nourishment to their coverage areas, which include local food pantries on the ground where community members feel the impact most immediately. Enter Zuidema of the Huskies Student Food Pantry. Zuidema goes on to say that her daily interactions with NIU students continue to reveal huge, unmet needs. Primary among them: students go without eating, “often for a couple of days on end,” and many battle hunger on a constant or near-constant basis. Think back to those times when you experienced hunger pangs that kept you awake all night and you begin to have a sense of the situation. Yet in its worst form, chronic hunger does the consuming – consuming every moment. Eating away at your energy, focus, health and well-being long into an indefinite stretch of days. Devouring even your choices. If you could eat absolutely anything at all, you would – empty calories or not. Indeed, it’s quite real for many college-level students across the country. 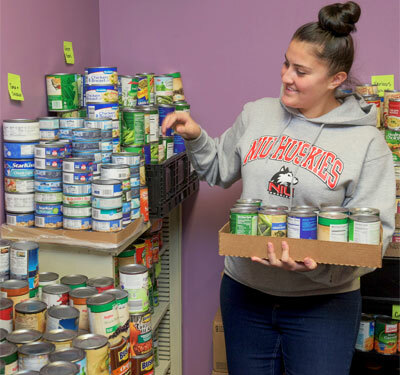 At NIU, more than 1,500 students have used the Huskies Student Food Pantry since it opened a year and a half ago. To this stat, Zuidema also counts easily 60 to 75 students who continue to visit the pantry during its twice monthly operations from 5:30 to 7:30 p.m. at its current location in the Grace Place Campus Ministry building. 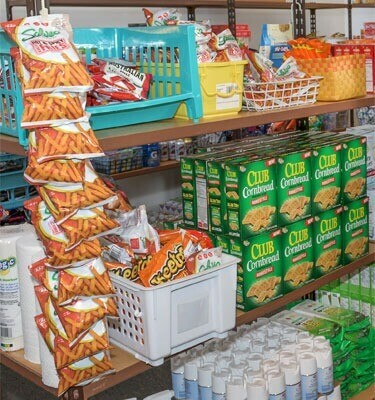 As campuses around the country look to address the complex issue of student hunger – caused by the perfect storm of a variety of factors, including economic realities, changing demographics, hikes in the cost of living as well as tuition and university living expenses – the number of food pantries on campuses has increased dramatically. According to the College and University Food Bank Alliance, only four existed in 2008. Fast-forward just seven years to 2015 and the number jumps to 199 food pantries in operation on college campuses. With growth like this the odds are very good that, without even realizing it, you probably know a student who has no idea when they will eat next.